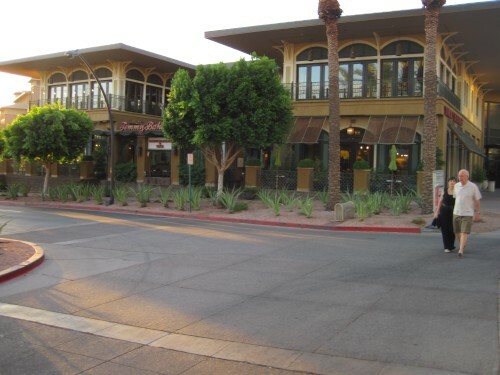 Category: Tommy Bahama, Scottsdale, Az. 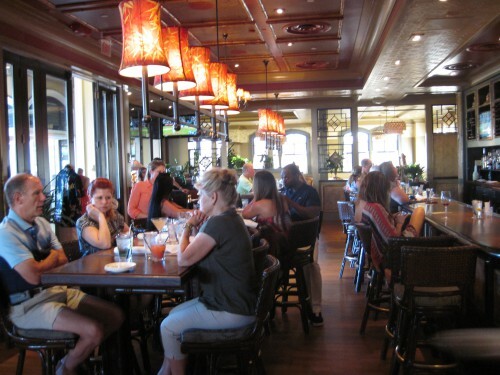 Tommy’s restaurant is located above the apparel and accessories store located on the first floor. 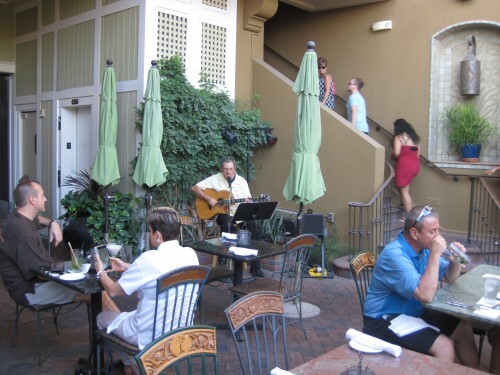 Live entertainment is provided Mondays, Fridays, Saturdays and Sundays. The patio entertainer was so impressive that I thought he had taken a break and a recording James Taylor was playing. 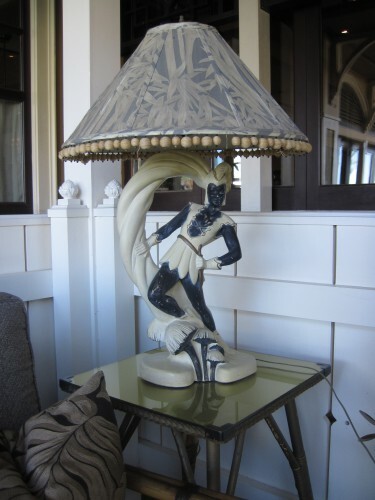 Period pieces decorate the area. Upstairs, just prior to entering the bar/restaurant is a waiting area where you can relax, listen to the music and enjoy the view of the courtyard below. 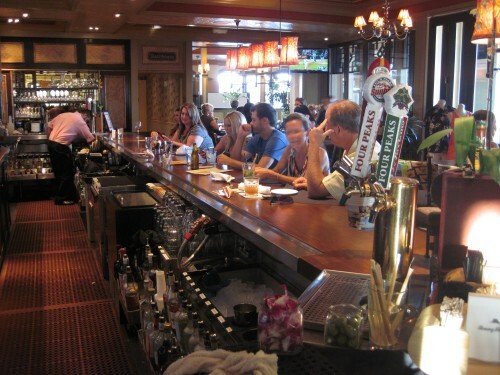 Flat screens are located throughout the bar for the sports enthusiasts. 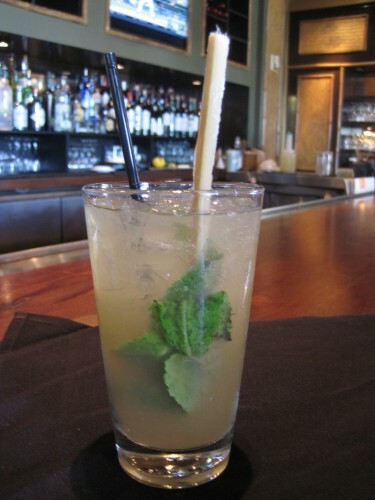 Island Time Happy Hour is everyday in the bar from 3:00-6:00 P.M. I started off with a Mai Tai. This was pleasing to the eye and gave a fresh island feel. 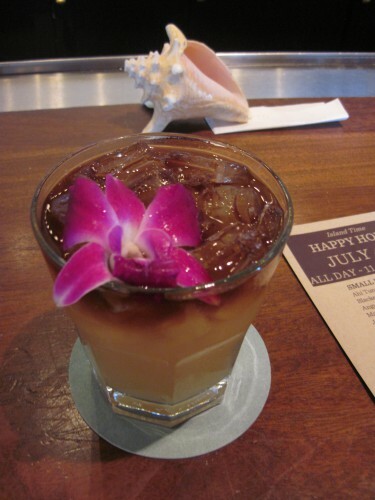 Once I tasted it all memories of previous Mai Tai’s that I had tasted throughout the years were erased. This had a taste of freshly blended flavors that was unbelievable! Since I was trying to stay within the island theme I also tried a Mohito. As good as it was it couldn’t compare to the Mai Tai. 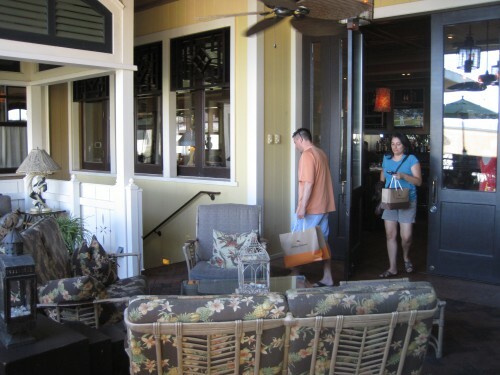 Island Time Happy Hour is held everyday in the patio and bar. I have to admit that when I viewed the menu online prior to visiting Tommy Bahamas I was a little skeptical about the prices, but the Happy hour prices are unbeatable! 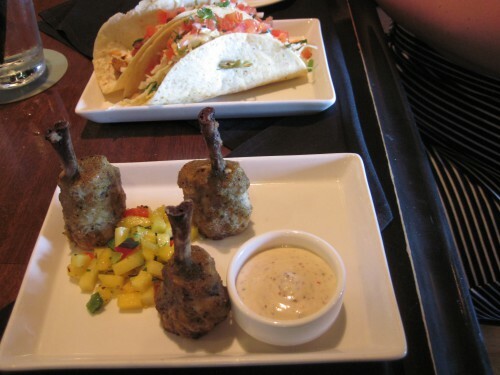 The Chicken Lollipops made with macadamia nuts and jerk remoulade from the happy hour menu was just as impressive as the Mai Tai. The well balance of flavors will leave you saying this is fantastic. Blackened Fish Tacos from the happy hour menu were also ordered . This is the same portion as the dinner menu one but for Happy hour price. They were made with a tomato relish, Chipotle Aioli, Lime sour cream and Asian Slaw. 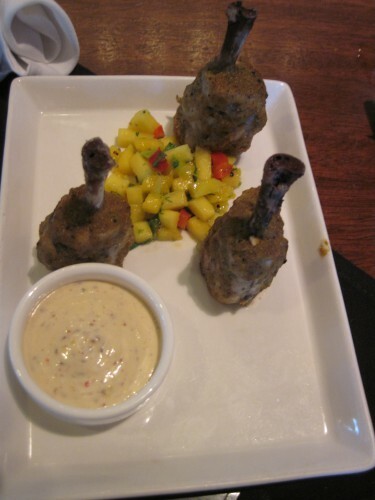 These were just as unbelievably delicious as the mai tai and chicken lollipops. The freshness and perfect blend of flavors was eye opening. They have a food truck in New York that only sells these tacos, they are THAT good. 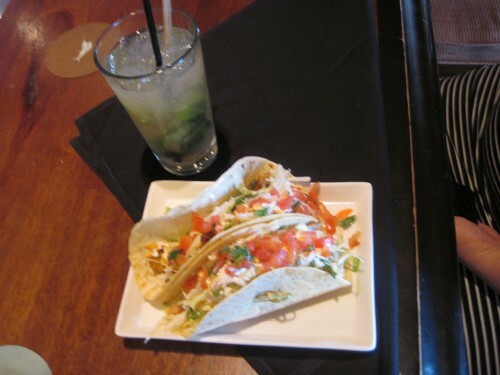 I was so impressed with the previous items that I was curious to find out if more items from the happy hour menu were just as remarkably good or had I just chosen two fabulous items by luck. 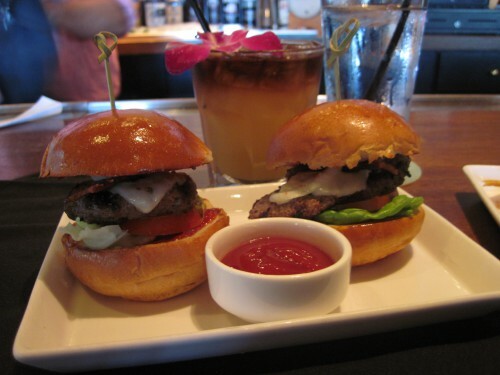 The Angus Burger Sliders were ordered along with the Ahi Tuna Poke. The Angus sliders were heaven. The toasted butter buns were fresh and crispy, the angus burger was moist and the dipping catsup had an added smoky flavor that was phenomenal. 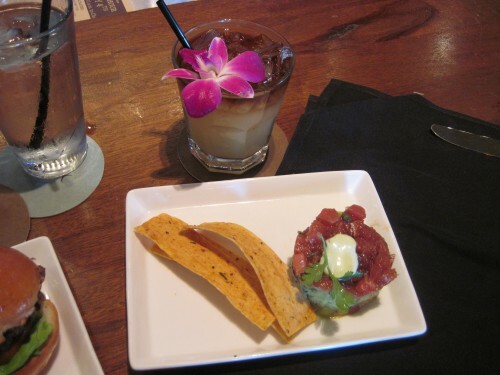 Being familiar with south pacific food, I had to try the Ahi Tuna Poke. It comes served on top of guacamole with sesame flatbread crackers. This is by far the best poke I have ever tasted. The flavor combinations and freshness were incredible! By now, I was addicted and my curiosity of culinary consistency was high. I could not stop ordering. 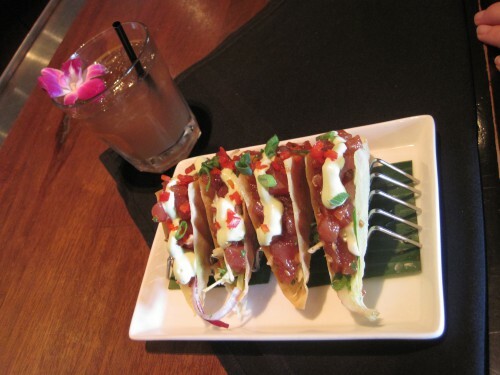 If the poke was that good, the Ahi Tuna tacos had to be too right? These tacos are served in wonton shells with Ahi Tuna, Asian slaw and wasabi-lime infused avocado. The crispness and lightness of the wonton shells were perfect. Once again, the combination of flavors was on the mark. There must be 5 star chefs in the kitchen or Tommy’s has found some remarkable recipes. The mai tai glass even looks good empty. If the happy hour items were that good I had to try an entrée. Trying to mix it up I ordered the Thai Shrimp and Scallops. 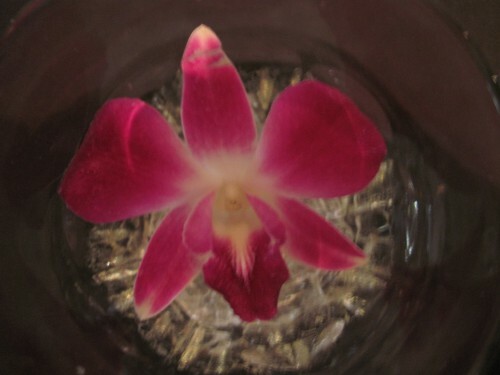 They were prepared with lemongrass, a coconut curry reduction and almond rice. I have tasted my share of scallops working in restaurants and eating at various fish eateries. These scallops were so tender and moist that they almost melted in my mouth. 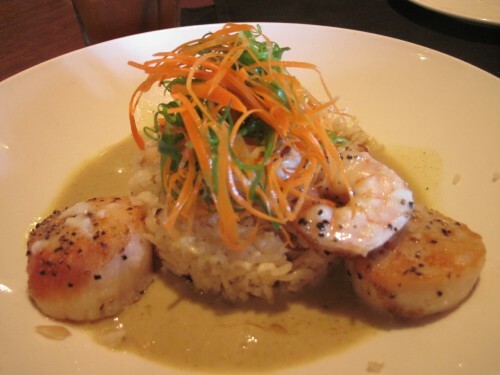 The combination of the scallop, lemongrass and coconut curry sauce was once again unbelievable. I even heard the couple sitting next to me say “oh my god” as they were tasting what they ordered. It wasn’t just me folks! I tend to not order dessert because I’m usually full by that time. Because the previous items were so light and small I wasn’t feeling stuffed so I gave it a try. I’m not one for butterscotch so I gave it a try to see if the guys in the kitchen could continue their greatness. I ordered the Butterscotch Pudding. 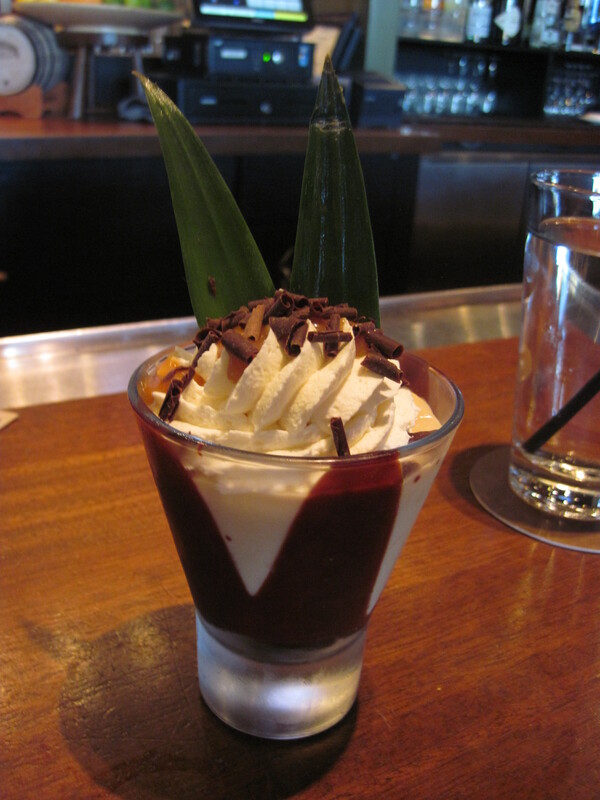 The glass was lined with a thick layer of chocolate ganache that resembled tulip leaves, a scratch of caramel filled with white chocolate mousse and topped with chocolate chips. There was butterscotch in there some where because I could taste it. No surprise here as this was a perfect ending to a perfect meal. All the dishes were pleasing to the eye which was only a prelude to what the taste buds were about to enjoy. I can truly say that this was the best meal that I’ve ever eaten. 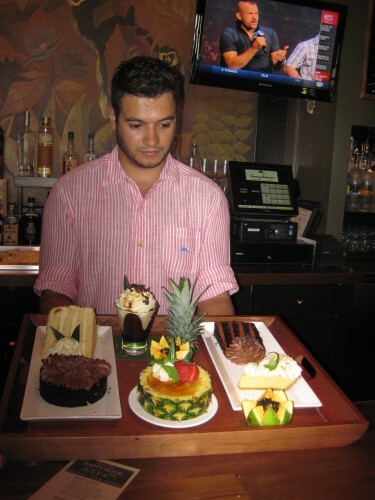 If you have someone that you would like to impress, are looking for a location to have a special dining experience or for a special occasion then I would highly recommend Tommy Bahamas. Check their website for more info and locations.